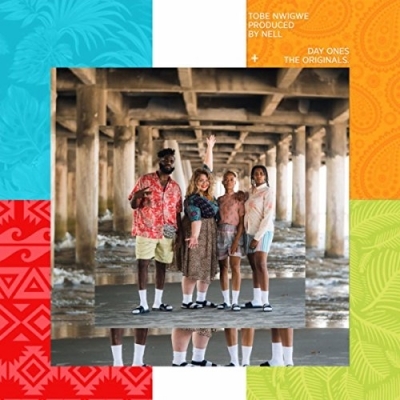 Rapper Tobe Nwigwe has released his new single 'Day Ones' (featuring Taylor Janney), following the recent release of his album 'The Originals'. His name has been uttered by newfound fans across the country and has even been mentioned internationally. Tobe described as an “inspirational artist” whose lyrical content penetrates the minds of its listeners & ignites fire within their hearts. Tobe has a tremendously unique way of creating music that relates to a variety of demographics. While Tobe is college educated, he is also aware of his modest upbringing, its environment, and the unfavorable lifestyle typically associated with it. This duality gives Tobe a rare perspective of both sides, allowing him to deliver content that is relatable to all audiences; from the neighborhood corners to the corner offices -his message is crafted to inspire all. Once Tobe’s musical talents reached the ears of world renowned speaker Eric Thomas, a partnership was soon established and a new subgenre of hip-hop was created through the newly established ETA Record Label... LIFE Music. ETA’s main focus is bringing a real and relevant sound to the music industry. While doing that they hope to bring life to the lifeless through phenomenal sound, style, and delivery. Tobe is the very first artist on the ETA roster but is poised to lead some elite “edutainers” of this generation towards the top of the music industry.